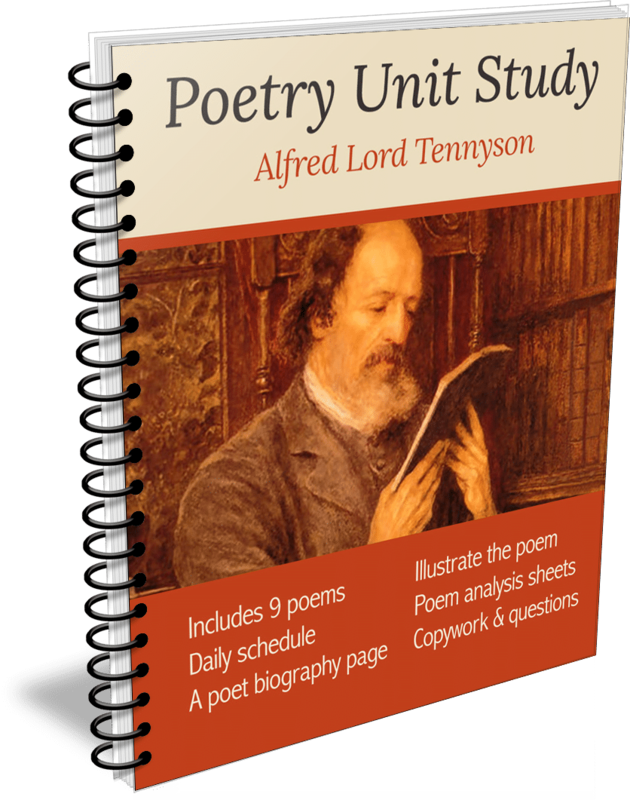 Alfred Lord Tennyson is a well know and loved poet from the Victorian era. If you are studying this era in your homeschool and are looking for a great poetry unit study you will enjoy learning about this great poet. This is a nine week poetry unit study that is perfect for the Charlotte Mason Style homeschooler. Your children will study one poem a week, read it, learn it, copy it, illustrate it and analyze the poem. This is a $7.99 value and you can grab it right now for FREE! You can grab this FREE Poetry Unit Study HERE! Check out even more homeschool unit studies here.